End of Life is the product of four years spent by John Bruce and Paweł Wojtasik with five individuals at various stages in the process of dying. In preparation for this project, the filmmakers trained to be end-of-life doulas and documented hundreds of hours of interactions with their subjects. The Doula works with the dying person, along with those surrounding him or her, to help design, guide and support their wishes for whatever a “good death” might mean for them. The film employs an immersive, participatory approach intended as an invitation for viewers to explore their body, their senses, and their ability to be present in relation to their own mortality. Bruce and Wojtasik became increasingly interested in visceral, primal responses to mortality, and during their shooting process these responses became their own. There is an openness, even a certain willed ambivalence, to this approach that reflects the unique quality of life in its final phase, when the mundane and the significant seem to flow seamlessly, one into the other. The two Greek words differentiating time - chronos (clock time) and kairos (the supreme moment), reflect the durational form of the film - the disruption of sequential logics at the end of life and the emergence of temporal poetics. Paweł Wojtasik is a filmmaker and video artist born in Łódź, Poland and currently living in Brooklyn, NY. Wojtasik received an MFA from Yale University in 1996. From 1998 until 2000 he was a resident at Dai Bosatsu Zendo Buddhist monastery in New York State. His 2009 video installation Below Sea Level debuted at MASS MOCA before travelling to the Prospect New Orleans Biennial in 2011. Pawel’s film Pigs (2010) won the grand prize at the 2011 Hong Kong International Film Festival, and was shown in the Berlin and New York Film Festivals. In 2012, he was awarded a Fulbright fellowship and was named a New York Foundation for the Arts (NYFA) fellow in Video/Film. His work Single Stream (a collaboration with Toby Lee and Ernst Karel) was exhibited at the Museum of the Moving Image in New York; the 2014 Whitney Biennial; and the Ann Arbor and Locarno Film Festivals. Wojtasik’s work has been exhibited at MOMA / PS1, New York; the Reina Sofia Museum, Madrid; the Wadsworth Atheneum, Hartford; Martos Gallery, New York; and Michael Thibault Gallery, Los Angeles. Wojtasik is represented by Video Data Bank. John Bruce is a filmmaker, designer, and educator. He has directed and produced many short films and theater installations, as well as music videos for MTV and VH1. His first film Apple Juice (1990), a short documentary about downtown Manhattan skateboarding culture, aired on PBS and Showtime, and was revived at the Brooklyn Academy of Music in 2013. He served as production manager and art director for a number of feature films, and platform producer for several transmedia projects addressing social issues. 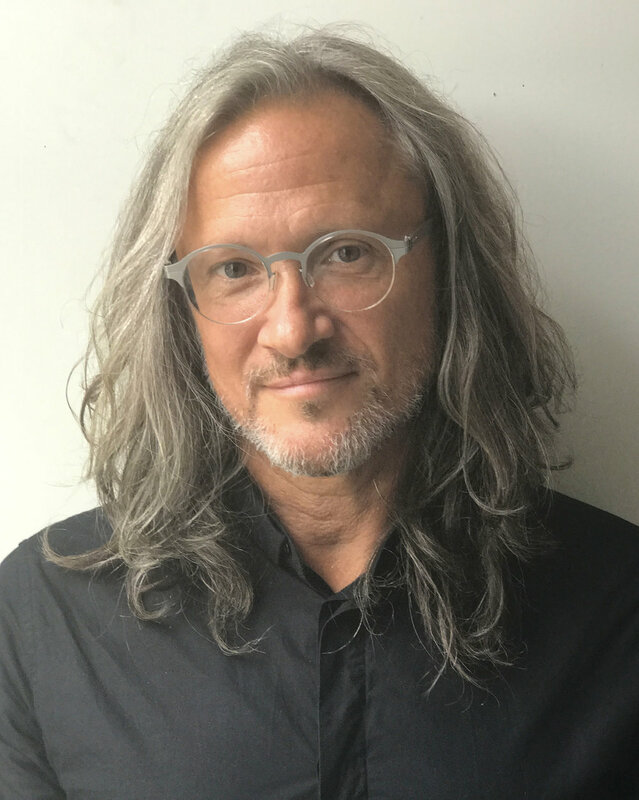 He is Assistant Professor of Strategic Design at Parsons School of Design, where he leads the studio Design for Living and Dying in the Transdisciplinary Design MFA program. John serves as the President of the Board of Trustees for the Robert Flaherty Film Seminar. He earned a BFA from the School of Visual Arts, and an MBA in Sustainable Systems from Pinchot. He was a 2015/16 Fellow at the Graduate Institute for Design Ethnography and Social Thought at The New School. Sign up to receive project updates. We will respect your privacy.